The article in question includes the description of book studies and changes in the studies on books, reading, information resources and libraries. Next, the situation of libraries dealing with new economic and social reality is discussed. The contemporary model of librarian education is analyzed with reference to the traditions of interwar and postwar period. The paper is a discussion of Polish book studies delivered by a scholar interested in Polish book market after 1944. Definitions of book market are analyzed and the survey of literature sources in the field of book studies and book market is provided. Several content-related issues are briefly mentioned. The author decided to omit non-printed sources, considering them to require separate analysis. The article briefly discusses the involvement of Warsaw City Public Library as a research, educational and public library in Polish library activities during the last century. Fruits of the anniversary celebrations are presented with attention drawn to their documentary importance and reflection on the transformation of the model of librarianship and library functions. 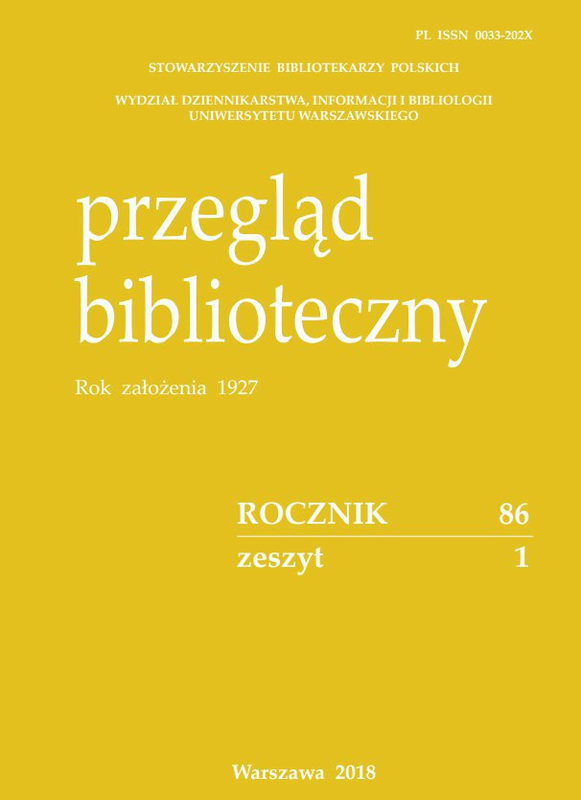 The article includes an analysis of four last volumes of 'Przeglad Biblioteczny' (Library Review), prepared in response to the proposals addressed to the editorial board responsible for the journal since 2005. The following issues are discussed: quantitative characterization and subject profile of papers published, affiliations of the authors, evolution of the journal structure and its circulation.